After four major hip hop releases. Finally “4trackmind” that started it all is available again. Real Hip Hop. The album that gained mudkids national acclaim with raving reviews in major press outlets like “The Source” . This is what hip hop is all about. Back to the basics. “Rap Can Do” & “Freekya” are instant classics. College Radio ate this record up for over six months at its release. Scoring CMJ, Hits Magazine and Source chart spots. Sound Scanned more in L.A. and New York than in all of the midwest. Choc Surreal who fed Eminem his lunch at Scribble Jam 1998 in a freestyle battle. (I saw live video)give us his best. The 1st album. How dirty, how street. Theese cats were and always Dirtballin’ . Check it out. 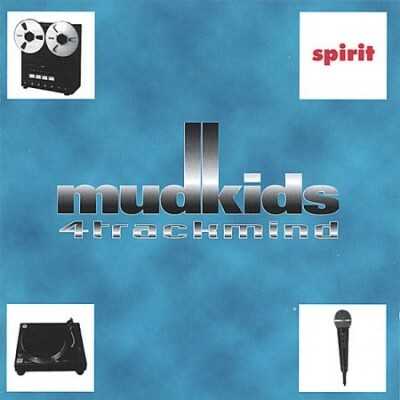 1 comment "Mudkids – 4trackmind (CD) (1998) (FLAC + 320 kbps)"
Indianapolis hip-hop!! aka Naptown… Peace to the Mudkids!! !